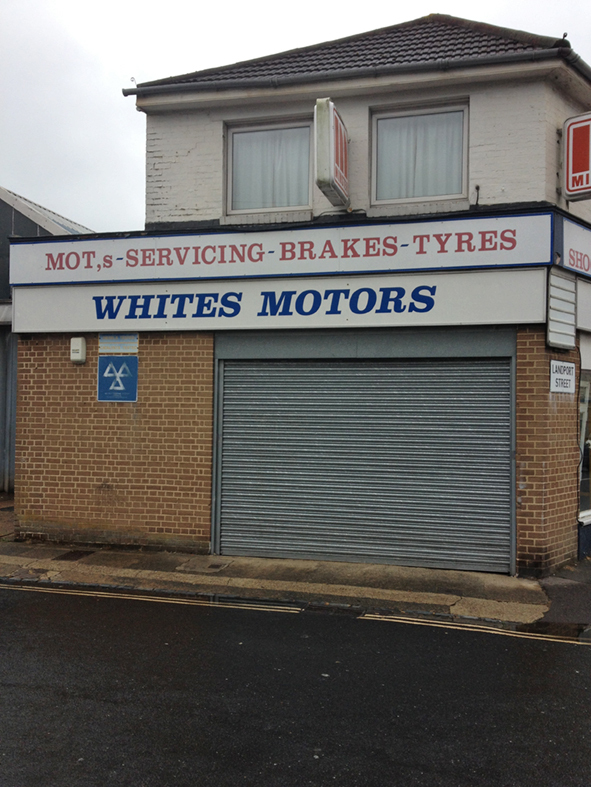 I've witnessed many a garage struggling with the common or garden apostrophe. But this, which I spotted in Portsmouth earlier this week, ranks among the most interesting. Hey guys, what should I do with the apostrophe? I know there should be one somewhere but where should it go? I know. We'll take the one from White's because, well, if truth be told, we forgot to put one there in the first place. And we'll put it after MOT because MOT should be plural and then, because we're still not entirely sure if we're right, we'll drop it down a bit to make it into a comma. And hope no one notices.